Community Engagement has developed a list of example community partners that we think could be an important reference for you as you consider submitting a proposal to work with a class. Even if you don’t see an organization “like you” listed, please don’t be dissuaded from submitting a proposal or contacting us for more information. One category of partners is the Vermont State Legislature. Student teams have conducted collaborative research with and for a range of legislative committees and individual legislators. Examples research projects include integrating the voices and values of Vermonters into climate change legislation, water quality projects ranging from small dam removal to the health of private drinking water supplies, and energy policy research. Students have conducted many projects in collaboration with the Vermont Department of Health. These include mapping datasets to spatially visualize health information, social science research in the form of surveys and interviews to assess familiarity with health recommendations, developing culturally appropriate and in-language outreach materials for Vermont’s refugee and immigrant communities, gathering stories about the mental health impacts of climate change, and developing policy recommendations for addressing health issues. The Vermont Geological Survey has been a partner for a range of classes as well a collaborator on student thesis research. Many of the projects have focused on naturally occurring contaminants—for example arsenic in drinking water and radon and indoor air quality. Projects have typically included a spatial component, mapping data points to analyze correlations between these contaminants and geologic formations in order to prioritize both health outreach and future research and testing. Example projects with the Vermont Department of Environmental Conservation have included projects to minimize stormwater runoff, provide recommendations regarding small dam removal vs. development for hydropower, gathering and analyzing sediment cores for Vermont’s Sentinel Lakes Program, research connected with basin planning efforts following Tropical Storm Irene, and projects linked to reducing phosphorus loads to Lake Champlain. Regional planning commissions and town planning boards have also served as partners for courses. Projects have focused on renewable energy siting, transportation work ranging from commutershed mapping to researching improvements for bike and pedestrian infrastructure to gatheringing data for developing town conservation plans. The Riverwatch Collaborative, housed within the Addison County Regional Planning Commission, has also been a partner on several water quality sampling and data analysis initiatives. Students have worked with the Vermont Natural Resources Council across their program areas in water, energy, sustainable development and forestry. Many of these projects have been policy oriented with students researching best practices in other states or countries, seeking to gain input from key constituents, and developing tools for communication and outreach materials. 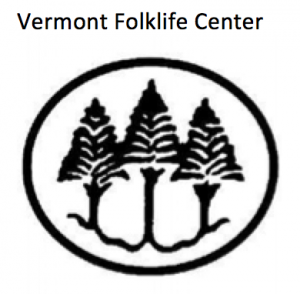 The Vermont Folklife Center has been a partner as well as the site host for exhibiting several student projects that featured community story-gathering as means to inspire conversation around a range of topics. Examples include interviews with farmers who have conserved their land with land trusts and interviewing environmental leaders regarding Vermont’s future. The Vermont Energy and Climate Action Network (VECAN) represents and supports the consortium of Town Energy Committees in Vermont. Students have partnered with VECAN as well as with several individual town energy committees. In an example project with VECAN, students developed a video that profiled particularly successful energy committees as a means to share “secrets for success” with other town committees. Local energy committees have been partners for projects on home weatherization, lightbulb exchanges, and story-gathering. Addison County Transit Resources as well as other regional public transit service providers in the state as well as the Vermont Agency of Transporation have been partners for projects that range from spatial analyses for optimizing routes, assessing ridership, researching means to increase ridership, and developing outreach strategies. For example, members of the student organization Juntos worked with ACTR to research possible routes that could reach more rural areas of the state. Land trust s are another type of partner organization, with the Middlebury Area Land Trust being just one examples. Students research contributed to the conservation of what is now Otter View Park in Middlebury and explored trail connections for a NY-VT connection for the North Country Trail.